They may hail from New Zealand and have travelled the world before alighting in Victoria, but when it came to designing their first commercial release, Sam and Duncan chose to showcase their adopted home. The first in a trio of core range beers based around hops from the three key New World growing regions of the world took its hops from Tasmania, utilising mainly Galaxy, augmented with a couple of other lesser known local varieties. 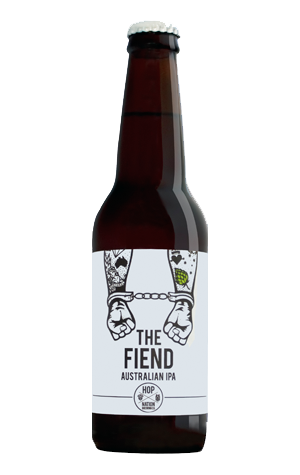 While tagged an Australian IPA – and coming with a suitably feisty name and eye-catchingly gruff label artwork – it's actually a fairly restrained take on the style (perhaps in keeping with the restrained tattooed convict on said labels). Expect soft tropical hops atop a light pilsner malt base and a bitterness that's there without knocking you about.